Join us LIVE every month! Drinking Water presents a topic that is important to drinking water professionals every month. We invite speakers to present about their area of expertise. Watching these 30 minute videos can get you .05 CEUs if you fill out the corresponding form. (11/5/2018)–The Drinking Water Board has adopted changes effective January 1, 2019, to the Cross Connection Control rules for both water systems and certifications. 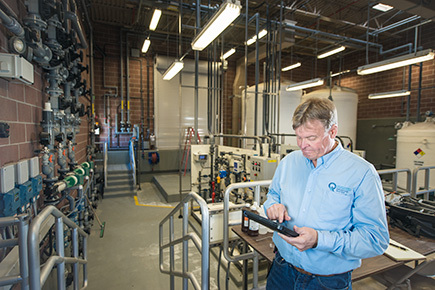 These changes will have an impact on a water system’s Cross Connection Control program and requirements for Cross Connection Control certifications. Water systems and certified individuals should familiarize themselves with these changes. (11/26/2018)–Operator Certification and Cross Connection Certification fees changed, effective January 1, 2019. (07/21/2018)–Revisions to the Utah Safe Drinking Water Act, Utah Code 19-4, became effective on July 21, 2018. The revisions impose new requirements on Public Water Systems to collect and report water use data to the state of Utah. In 2017, the EPA sent a letter recommending that schools test their drinking water for lead. The Utah Department of Environmental Quality (DEQ) and the Utah Department of Health (DOH) are partnering with Utah schools to conduct voluntary sampling for lead in their drinking water. The Division of Drinking Water adopted an amendment to the rule on November 7, 2017. Can’t find the documents you’re looking for using EZ Records Search? Send us a GRAMA Request. Have questions about GRAMA Requests? Contact Laurie Leib (801) 536-4205. 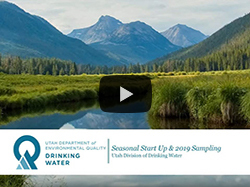 Safeguarding the quality and quantity of Utah's drinking water through balanced regulation.